Welcome to Australia, the land of Koalas and Kangaroos! 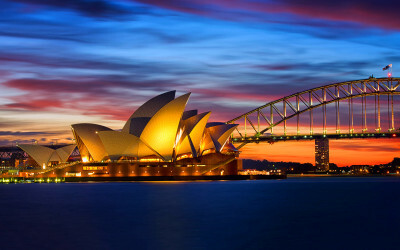 On arrival in Sydney, you will be transferred to your hotel. Check inn at Hotel, Overnight at Hotel. Today, you will be transferred to the airport for your flight to Cairns. Transfer to hotel , Overnight at Hotel. This morning, proceed for the ultimate SIC Big Cat Green Island Cruise with semi-submersible vessel (PAK4) With Transfer Buffet Lunch Included on board cruise. Day 11 Melbourne – Home town.